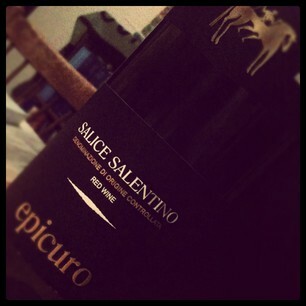 The 2011 Epicuro Salice Salentino DOC is no longer qualified as a Riserva, unlike its predecessors. It is still made of 80% Negroamaro grapes and 20% Malvasia Nera, with 13% ABV. In the glass, the wine displayed a decidedly lighter color than its predecessors, a watery ruby red that lacked the depth of color in the earlier vintages (I assume that this is due to less ageing in a barrel). The nose showed oriental spices (think mulled wine, a bit weird), wet tobacco leaf and earthy aromas underlying it. All in all a similar nose to earlier vintages, I think. On the palate, though, what struck me immediately was that this vintage has a decided sugary component which is too much for me. I am not looking for a semi-sweet red wine, so this was a downer. There were cherry, leather and tobacco aromas with barely noticeable tannins, so its feels mild and is rather easy to drink. 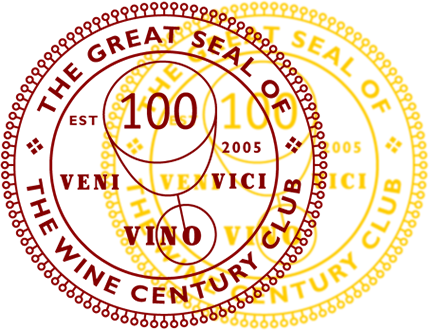 Very nice review as always, Oliver – even if this was not an exciting wine. Well, at least the investment was fairly limited! I’m finding that many of the mass-produced wines that I formerly enjoyed, have changed their profile (probably based on market research in the U.S) and are making “semi-sweet” reds. Yuck. Wine is expensive here in Rhode Island, and Trader Joe isn’t allowed to sell it. Every state has its own tax system for alcohol. I’m going to have to make a trip to New Hampshire soon, I think. (The state run liquor store there has the best prices in New England). Quebec also has a fabulous state-run liquor store; great prices. But you have to drink most of the wine there, in Quebec to get your money’s worth because they only allow you to bring back a limited supply. Yes, I’m talking about the U.S. customs taxing us on our return from Quebec. Honestly, I had no idea the tax was so minimal. They always made it sound like it was going to be a huge deal, so we never bothered trying to bring more than the allotted 2 bottles back home with us. It’s become the most viewed post on my blog…. :) We bring 12 bottles each usually and were never charged the duty, because customs officials have discretion on whether to collect duty under $20. Sorry to hear about your disappointment but I do appreciate various vintage tastings of the same wine. Very interesting to note the changes from one year to the next and in this case maybe the unfortunate changes made by producer. An honest review is sometimes the best, I think! Although I’m certainly not a wine connoisseur, I’ve definitely had glasses of wine that have left me wanting!! I think it’s interesting that wrote “Red Wine” on the label for the US market. On the label for the European market they didn’t do that. Sorry to hear that you didn’t like the wine but as you said yourself it’s a mass-produced wine so you shouldn’t expect too much..
Yeah, the “red wine” must be an American labeling requirement….interesting, I had not even realized.